Gobbledygeek episode 320, “Dunkirk: Beach Battle Bingo,” is available for listening or download right here and on iTunes here. Sun, spray, bullets, and blood: Christopher Nolan’s Dunkirk recounts the worst beach trip in history, as 400,000 Allied troops were trapped by the Nazis in Dunkirk, France. 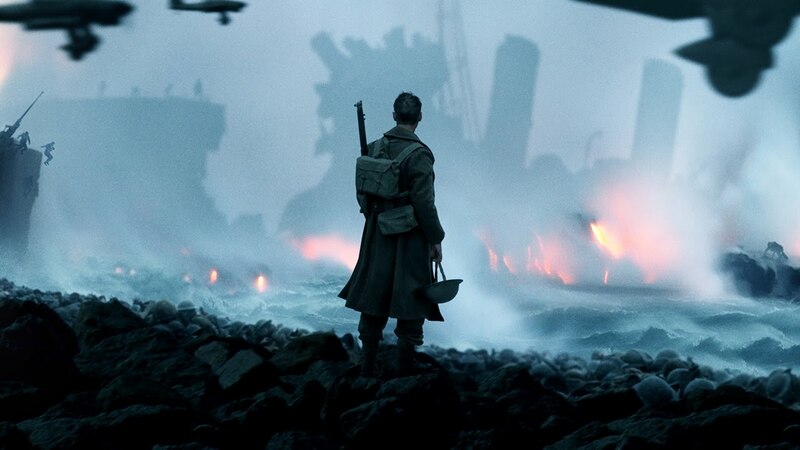 The word Paul and Arlo keep coming back to as a descriptor is “relentless.” 107 minutes of third-act intensity, Dunkirk may be the purest expression of Nolan’s watchmaker-precise skill. The boys discuss the film’s three interweaving time strands, the lack of overt character development (except for that moment), Hans Zimmer’s ticking time bomb of a score, and why the movie never names or shows its Nazi enemies. Plus, Arlo is convinced the rest of the world is experiencing a mass delusion regarding Arrested Development season 4; and the boys take a look at the SDCC trailers for Ready Player One, Justice League, Thor: Ragnarok, Stranger Things, and The Defenders. Next: it’s another Four-Color Flashback, as Ensley F. Guffey, co-author of Wanna Cook? The Complete Unauthorized Guide to Breaking Bad, joins Paul and Arlo to discuss Y: The Last Man – Vol. 7: Paper Dolls. This entry was posted in Shameless Self-Promotion and tagged action, arrested development, christopher nolan, comedy, comic-con, dc, dunkirk, fantasy, film, fionn whitehead, gobbledygeek, hans zimmer, harry styles, horror, itunes, joss whedon, justice league, kenneth branagh, libsyn, mark rylance, marvel, movies, nazis, netflix, podcast, ready player one, san diego comic-con, sci-fi, science fiction, sdcc, steven spielberg, stranger things, superhero, superheroes, taika waititi, television, the defenders, thor, thor ragnarok, tom hardy, tv, war, world war 2, world war ii, zack snyder. Bookmark the permalink.